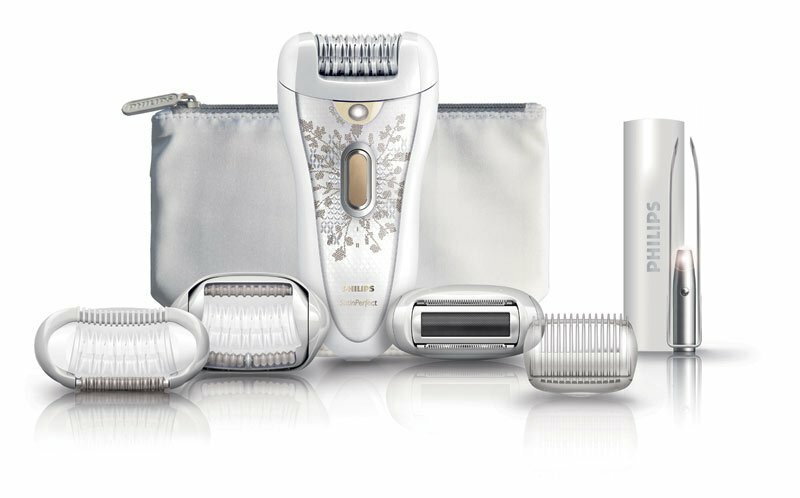 Philips manufacture a huge range of products, from grooming products such as Epilators to garden equipment! So, does the HP6576 Satin Perfect live up to their company’s huge reputation? 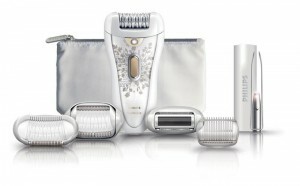 How does it compare to the other hair removal products we review here on bestepilatorguide? Ceramic discs designed to remove even the finest hairs. No hairs will be missed by this model as it slides along your skin. The discs are hypo-allergenic and will help to avoid the irritation some hair removal products will unfortunately cause. Active hairlifter. This is a vibration technique that will pull your flat lying hairs upright so that they are removed by the tweezers within the epilator, this creates a more thorough trim and again makes sure there are no leftover hairs. A massage system is in place which is designed to stimulate and even soothe the skin to avoid discomfort. Washable head. One of the most annoying aspects of this way of removing hair can be the clean up afterwards, but with a washable head, you can simply and easily get rid of the debris that will inevitably be left over in your machine. Multiple heads for length. Choose whether you want to take it all off or simply trim or style your hair, simply by replacing the head. Cordless. This is a huge feature that many people are looking for. This no-expense-spared Philips model can be used for forty minutes cordless, which is great for weekends away or just taking for an overnight stay somewhere. It only takes an hour to fully charge. A built in ‘opti-light’ is in place to help you see all of the finest hairs and make sure you remove them accurately. Two different speeds for your personal preference. The kit is very pleasing on the eye and shows the quality on offer. It comes with, as you would expect, a charger, a cleaning brush, all of the attachments we have already mentioned and a storage pouch. The design of the products is great, and they look like a high quality product. Though this is not the number one aspect we judge on, its nice to have something that looks good when taking it out and about. Met almost unanimously with good reviews, this model, though not the least painful on the market, is one of the most effective. 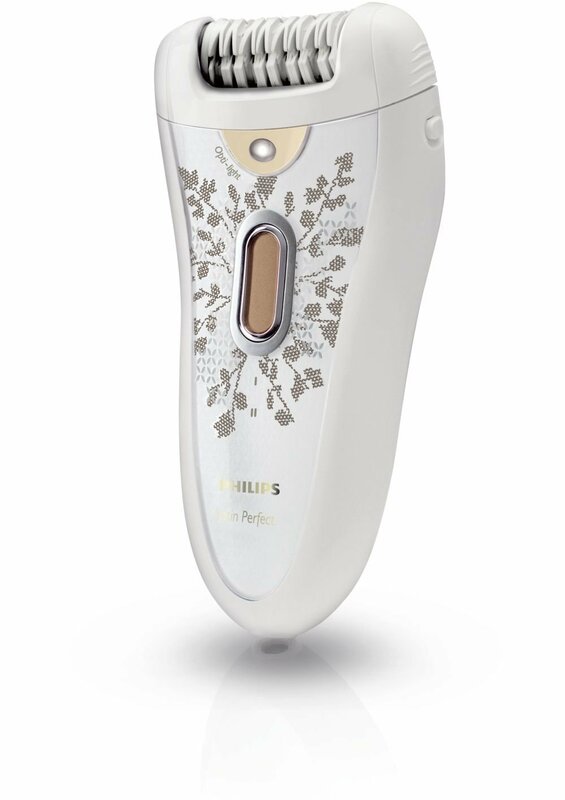 Philips have focused on effectiveness and features such as the light, multiple heads and clever ways to remove fine hairs make this one of the top Epilators out there when it comes to doing what it is designed for, removing hair! It comes with a two year warranty, so the manufacturer is clearly confident of its build quality, and it is unlikely you’ll be disappointed with the results. Any pain can be minimized with creams and other products, eliminating the one downside of the HP6576. Definitely gets the thumbs up from us!